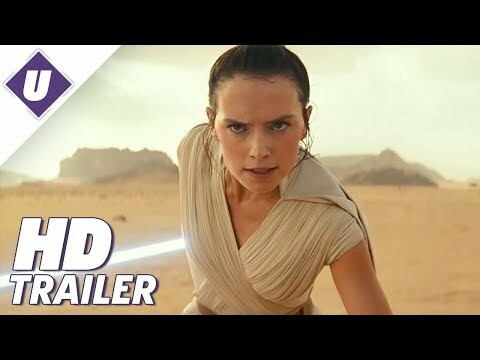 The end of the greatest space opera saga of all time, spanning 9 films, 3 generations and over 40 years finally comes to its epic conclusion in “Star Wars Episode 9: The Rise Of Skywalker”. From Anakin Skywalker to Darth Vader to Kylo Ren. From Yoda to Qui Gon to Obi-Wan Kenobi to Luke Skywalker to Rey. From Padme to Princess Leia to Han Solo and Chewbacca to Ben Solo. I could go on and on. However, the droids, C3PO and R2D2 have appeared in all 9 Star Wars Movies, with BB8 winning our hearts in the final 3 movies. This Christmas is going to be extra special as the final Chapter of the Star Wars saga, directed by JJ Abrams is released in the UK on the 19th December 2019. May the Force Be With You!